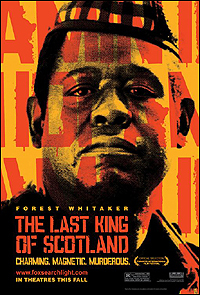 Alrighty, after Babel and Blood Diamond I told myself that the next one will be a warm and funny one but when Mich and Zack wanted to watch a movie last night … I voted for The Last King of Scotland. 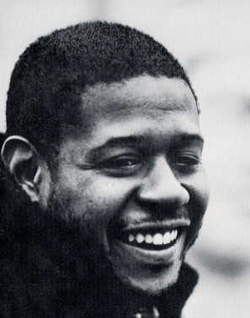 Hmmm … ok, I understand why they gave Forest Whitaker the Golden Globe … he was pretty much solid as Idi Amin. 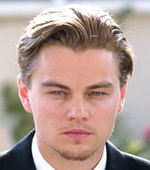 Come February 25, it'll be interesting to see the fight between the two American actors who played Africans. I bet if I watched The Pursuit of Happyness, I'll be even more confused. 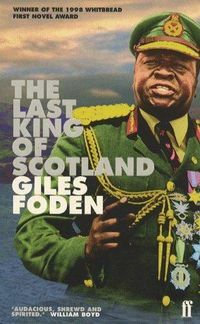 Oh well, back to The Last King of Scotland … the moment that worked for me was when one of the Ugandan characters in the movie said,"There is so much hatred in Uganda and I do not want to be part of it." It's really quite that simple, isn't it? Idi Amin thought he was saving Uganda. I don't know the man but as Zack mentioned, we know of a lot who is so much like him … we should be grateful they're not the ones running our home. Do third world leaders actually start with the belief that they are working for the people and when they get there the power changes them? And what can the average individual do?